The program, starting today, attracted criticism from right-wing pundits like Pamela Geller and Ezra Levant. Photo courtesy of Snuffy via Flickr. 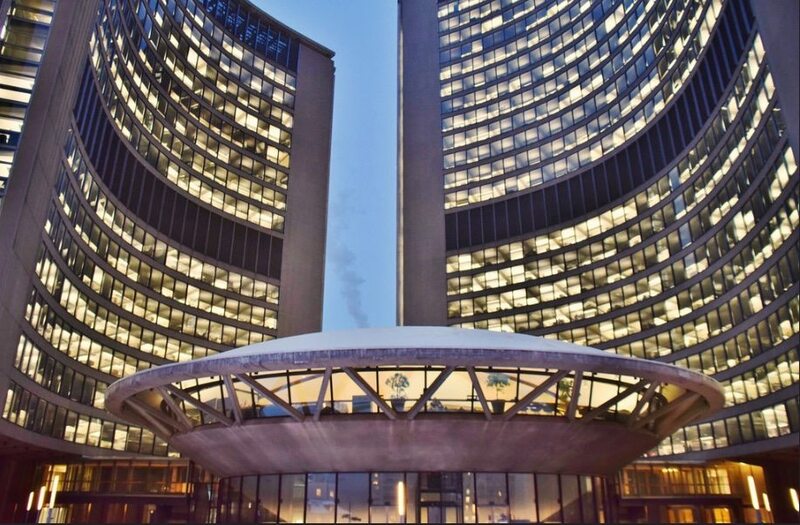 A pioneering diversity initiative at City Hall will pair 13 interns with city councillors and the mayor’s office to work as aides, starting today. The Muslim Youth Fellowship was organized by two leaders of the Urban Alliance on Race Relations, Mohammed Hashim and Nora Hindy, who came up with the idea during the federal election in 2015, when they noticed a high level of political engagement and interest within the GTA’s Muslim community. “We wanted to create an opportunity for young Muslims to democratically engage and give back to the city in a meaningful way,” says Hashim, who is also a senior organizer for the Toronto and York Region Labour Council. The fellowship received initial funding from the Atkinson and Laidlaw foundations, and received more than 60 applications for the first round of internships. The 13 successful applicants are from across the GTA, from Pickering to Mississauga. Applicants had to be current university students or recent graduates, but did not necessarily need to identify as Muslim. Hashim said the most important characteristic he was looking for was a deep sense of commitment and love of public service. Along with 12-week placements in the offices of city councillors, the interns will also attend monthly training sessions and social events. The co-founders see the fellowship as a full-fledged leadership development program that goes beyond a typical co-op placement. Those supplementary monthly events are intended to provide interns with networking opportunities, as well as an understanding of how the political world operates. So far, the interns have met with TDSB trustee (and future city council candidate) Ausma Malik; Patrick Brown’s campaign chair Walied Soliman; and Tom Allison, former campaign manager for John Tory and Kathleen Wynne, among others. A future meeting with Michal Hay, the campaign director for Jagmeet Singh’s successful NDP leadership run, is also planned. The program’s long-term vision is to have its participants return to their communities and share what they’ve learned with their families and social circles. One of the interns, Sakariya Ahmed, a 21-year-old Somali-Canadian business student, hails from Lawrence Heights, a neighbourhood he admits isn’t the most involved in its politics. With his community feeling increasingly isolated from the decision-making process regarding the extensive revitalization of their area in recent years, he’s hoping to help change that after working as an aide for his ward’s councillor, Josh Colle (Ward 15, Eglinton-Lawrence). The fellowship has received some backlash. In November, right-wing pundit Ezra Levant criticized the program for its preferential treatment of Muslims. American political writer and commentator Pamela Geller, whose Toronto visit for a speaking function last month drew protestors and police presence, also condemned the program. “Where is the program for Jews? Christians? Hindus? Government internships for Muslims and Muslims only. This is the very definition of sharia law, special superior rights for a ‘superior’ class,” said Geller. “I don’t think there’s any denying that Islamophobia exists,” said co-founder Hashim, but he’s been buoyed by the unwavering support the program has received from City Hall, including from the mayor himself.